The April 25th meeting of Freeport’s Shakespeare Society will feature a readers’ theatre. Members will be reading scenes from In Print member Sharon Boehlefeld’s play Monday Morning Ladies. The meeting is at the Parkview Home Community Room at 7:00 pm. The event is free and everyone is invited to attend. Contact Sharon Boehlefeld for more information. The Freeport Area Author Fair will be held on Saturday, April 2 at the Freeport Public Library from 10:00 am – 2:00 pm. Authors of all genres, self-published or traditionally published, will have a book table at the event. They are looking forward to meeting and talking with area readers. Refreshments will be offered, and In Print member Kim McIver of McIver Publishing will be on hand to speak with writers interested in the self-publishing process and the costs involved. There will be a speaker at 1:00 pm. 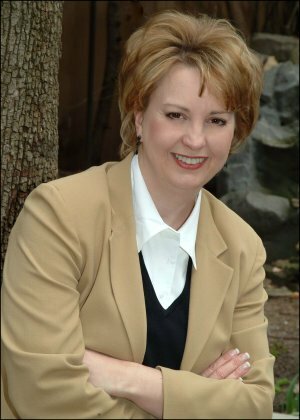 Jill Austin from Barefoot Editing will be giving a presentation on “Common Mistakes Writers Make When Publishing.” This presentation will benefit both self-published and traditionally published authors. Industry professionals will be in attendance including Total Printing Systems from Newton, IL. Their printing rep will be available to answer questions authors might have about the printing process. For more information on the Author Fair, please contact Kim McIver. The Spring 2016 Freeport Author Fair will be held at the Freeport Public Library on Saturday, April 2 from 10:00 am to 1:00 pm. It is being sponsored by McIver Publishing. All authors are invited to participate. Tables are $5 for half a table or $10 for a full table (tables are about five feet long). There will be refreshments offered and a drawing for a door prize. McIver Publishing will be doing a mini seminar during the day. To sign up for a table, please contact Kim McIver. There is room for about 30 authors. The deadline to register will be March 25 or when registration is full. In honor of our Five Year Anniversary, In Print hosted a 5Y5W writing contest. Submissions were limited to 250 words or less and had to include the 5 “in” words: Inspire, Indulge, Intrigue, Integrity, and Innocent. Submissions were posted to the In Print Facebook page for one week of reading and commenting. Readers could comment on up to five pieces. Voting was tallied by how many comments were left on each piece. After almost 200 comments, we are proud to announce the winners of the 5Y5W In Print Writing Contest. There was a tie for fifth place, so we have six winners. One a year for five years and one to grow on! Winning pieces will be read by guest speaker Dan Klefstad at the I AM IN PRINT Five Year Celebration. The anniversary event will take place Saturday, March 12, from 1:00 to 4:00 pm at the lovely and historic Cliffbreakers Riverside Hotel & Conference Center. Tickets are $20 and include soft drinks, appetizers, desserts, and a program. There will also be a cash bar and silent auction. Tickets can be purchased online using the PayPal link below (there is a $1 / ticket surcharge). In Print, the professional writers’ organization, will be celebrating its 5th anniversary on Saturday, March 12 from 1:00 to 4:00 pm at Cliffbreakers in Rockford and I can’t wait! I co-founded In Print and am incredibly proud that the organization has made such a wonderful impact on writers in the Rockford area. To help celebrate In Print’s fifth anniversary, four of the founders of In Print – Kristin Oakley, Kathleen Tresemer, Carol Ahrens and Mary Lamphere – sit down with Sandy Colbert to talk about how the organization got its start. The anniversary event will take place Saturday, March 12, from 1:00 to 4:00 pm at the lovely and historic Cliffbreakers Riverside Hotel & Conference Center. Tickets are $20 and include soft drinks, appetizers, desserts, and a program. There will also be a cash bar and silent auction. Tickets can be purchased online using the PayPal link below (there is a $1 / ticket surcharge). In Print, the professional writers’ organization that I helped create, turns five in March. That is pretty impressive. Not just to me, but to the hundreds of writers that we’ve served in a variety of ways over the last five years. Five years! Condensing five years of highlights into a manageable blog has been quite the challenge. I’ve collected pages and pages of notes, hoping to pull together my thoughts on In Print for a promotional post in support of our I AM IN PRINT Five Year Celebration at Cliffbreakers on Saturday, March 12, 2016. There are so many memories I have of members, meetings, retreats, guests, and general literary experiences associated with In Print, it’s hard to narrow them down. I adhered to the advice, Writer, edit thyself, and with the help of a deadline, I’m done.